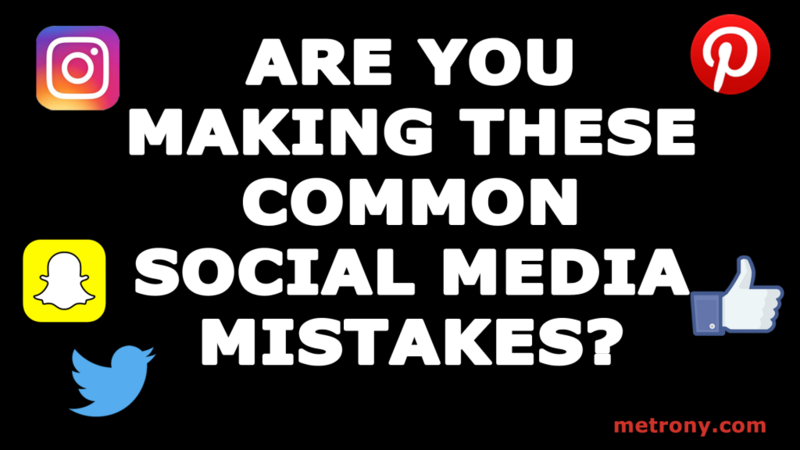 Social Media Mistakes – Are You Doing Any of These? All websites should have social media share and connect buttons. It doesn’t matter if the site is a retailer or not, social media is a form of communication for people of all ages. We use social media to make purchases, as a customer service tool, for public relations, and to share reviews of brands we care about. Website social media buttons help your readers share your content – including images and posts – across social channels. They also help you build up a following. If you are indeed a retailer or blogger, then these are a must-have for your web presence! There are two types of social media buttons every website should have. The first is a social connect button. The second type is a social share button. Social connect buttons are the ones that say something like, “follow me” or “let’s connect” When you tap in a social connect button, you become a follower of an account on a social media channel. These are different from social share buttons. There are a few configuration mistakes common in social media share and connect buttons. Fortunately, they are easy to fix, especially if you are using a content management system like WordPress or Shopify. Watch this YouTube Video on Social Media mistakes and find out! Missing Social Share – Social share buttons allow users to tap a button on a website and share your content to the social channel of their choice. A properly configured button will have the attribution already set. For example, if you tweet this post using the button on the page, then the post will be attributed to me @metrony. Two taps and the post is shared. Done! Social Connect Buttons – These buttons are a close cousin to the above social connect buttons, but they are for building up a following rather than sharing. Social connect buttons are the buttons that you click or tap and they automatically have your profile like the profile associated with whatever you are reading. For example, if you tap the Facebook icon in the “let’s connect” section of this webpage, you’ll “like” my Facebook page. Broken Links – Have you ever gone to a website, hit the social connect or social share button only to have it pop up a window to Facebook.com rather than “like” the page or even land on the brand’s profile page? It happens all the time. The share buttons are set up before the profiles, and configuring them properly gets lost on the madness of getting an e-commerce site set up properly. Open in New tab – Sometimes social connect buttons take users away from the website. The goal of social media is to get users to the website and take a certain action (buy something, give an email address, get directions, download something, etc…) Social media should NEVER take users away from a website. Many times, a misconfigured connect or share button opens a new tab or window and takes users away. Add Attribution – Now that we have the social share buttons working correctly – they pop open their own standalone tab – add your user handle to each social share button. Whatever your user handle is per social media channel, that should be tacked onto the end of the post. Be sure that your user handle is correct for each individual channel. Previous Previous post: LinkedIn.com Privacy Update: Posts Are Now Public!